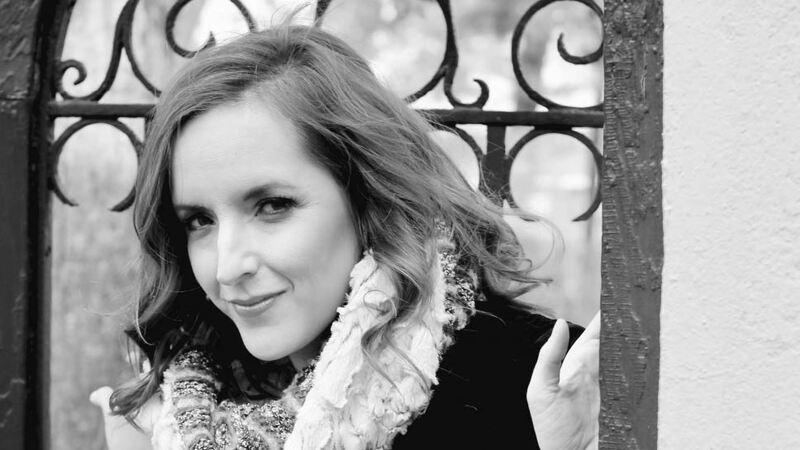 There is an anecdote about Lake Forest author Rebecca Makkai’s first body of work. It wasn’t a Booklist “Top Ten Debut” that has been translated into eight languages, like her 2011 novel, The Borrower. It didn’t win a Pushcart Prize (as her short stories have) or appear in The Best American Short Stories anthology (as her work did in 2008, 2009, 2010, and 2011). This tale was printed on the side of a cardboard box and told from the viewpoint of a stuffed Smurf doll. She was three years old. From those preschool years through eighth grade, the Lake Bluff native was a student at the innovative new Forest Bluff School in Lake Bluff, a learning space where the Montessori approach to education liberated her young mind to develop a passion for words and storytelling. Makkai will be among a long list of notable local alumni who will be heading back to Forest Bluff School’s 35th anniversary reunion on Friday, December 23. Although, in many ways, Makkai never left the little school she grew up in. Makkai’s roots with Forest Bluff run deep. Not only did she teach at the school in the early 2000s while launching her writing career but her two daughters—10-year-old Lydia and 7-year-old Heidi—are now students there. On the day that we meet Makkai at the family’s apartment on the campus of LFA, the girls are still at school. Husband Jon Freeman, an English teacher and assistant dean of students at LFA, says hello and then steps back to work. The kitchen is filled with the girls’ artwork and all the emblems of daily life. Books are on a shelf at eye level, which is a Montessori thing but in this case, more of a practicality. Life is moving full speed ahead for the author, especially for her latest novel, The Great Believers, due out from Viking/Penguin in June 2018. In addition to teaching creative writing at various venues around the area and serving on the curatorial board at Ragdale Foundation in Lake Forest, Makkai’s days recently have been filled with making decisions on the book cover. Though this marks Makkai’s third novel (following The Hundred Year House in 2014), she confesses that something about it feels different. So, what thoughts will Makkai bring to her for the 35th anniversary Forest Bluff School alumni reunion this month? For one, she’ll likely be reinforcing her gratitude to the institution that was founded by Paula Polk Lillard, Jane Linari, and Lynn Lillard Jessen back in 1982. But she’ll also be connecting the dots of her past and present and future, all that come back to the place where it all began. For more information about Forest Bluff School’s 35th anniversary reunion, email [email protected] For more information about Rebecca Makkai, visit rebeccamakkai.com.